Enough is enough! 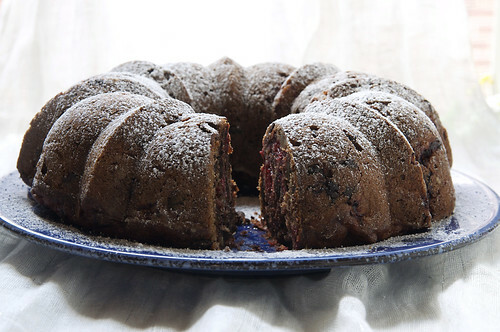 As much as I love veggies, sometimes you have to have something sweet- hence the massive chocolate and cherry stuffed bundt cake currently sitting on my table. I'm not worried about it though, I doubt that it will be sitting there for long; cakes have a way of disappearing in my house. I want to get back in the (maybe bad) habit of always having something fresh baked around the house, especially because friends tend to just drop in. What better way to go about that than to always have some of my Gram's cake baked up? After all, she was pretty much the queen of keeping sweets for visitors. This cake is moist and not too sweet. It's perfect paired with a cup of tea or coffee, with just a sprinkle of powdered sugar on top. Yum! 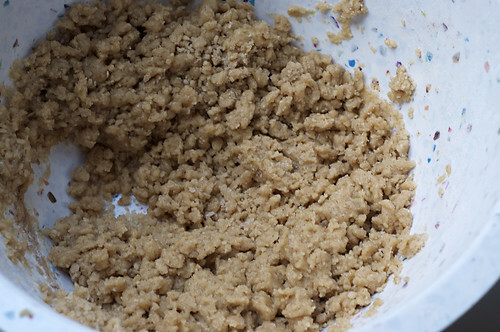 Combine flour, sugar, baking soda and cinnamon in a large bowl. Set aside. 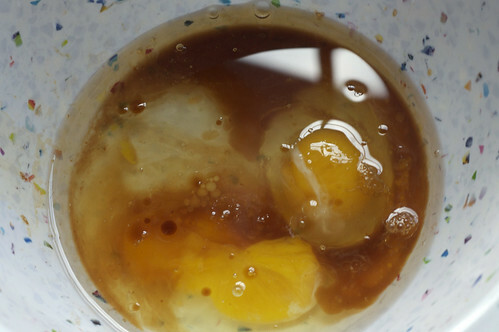 In another bowl, mix eggs, oil and vanilla extract. Beat well. This looks so gross and I'm still making you look at it. 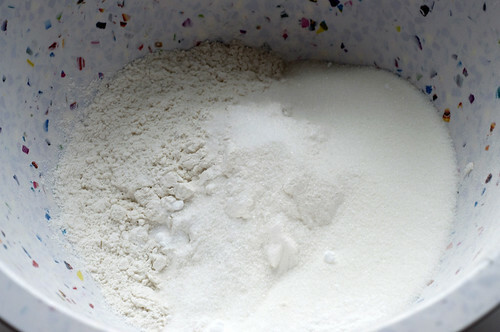 Add to flour mixture and mix well. 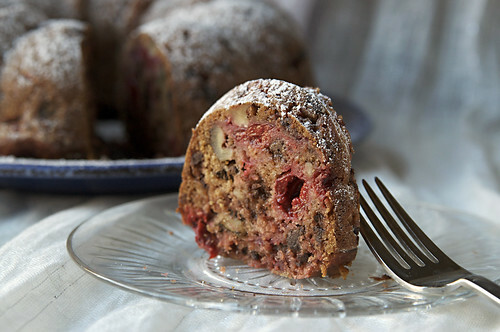 Fold in walnuts, chocolate and cherry filling. Don't be too worried about smushing the cherries, because it's going to happen no matter how hard you try not to. 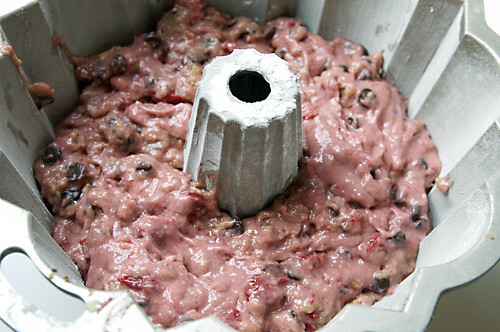 Grease and flour a bundt tin. Make sure to really cover it. Evenly distribute the batter in the bundt tin. Remove from oven and allow to rest in the tin for 5 minutes. 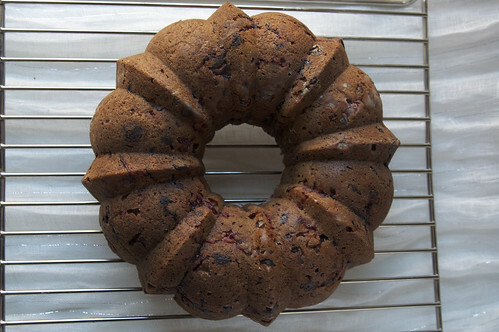 Turn the bundt on to a rack to finish cooling. Dust with powdered sugar and make some coffee. Try not to eat the entire cake in one sitting. It will be difficult. 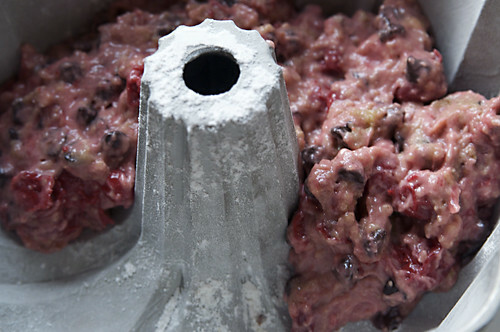 I would love to make this cake but can't print the recipe because of the photos. Too long. Can you send me a copy that I can print out? Thanks. 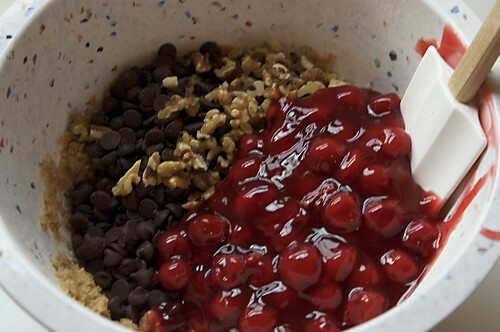 Mmmm, chocolate and cherries make a heavenly combination. This looks so delicious. 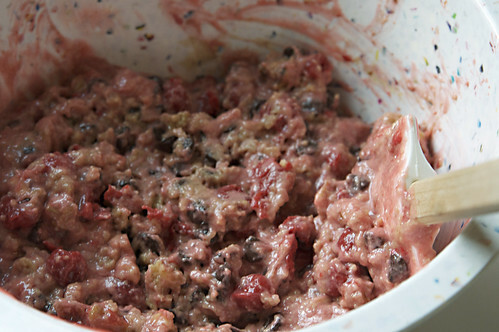 I am totally going to attempt to make it, thank you for the recipe! Baking Soda and Baking Powder are a little bit different. They both cause cakes to rise, but they react a little differently to other ingredients. 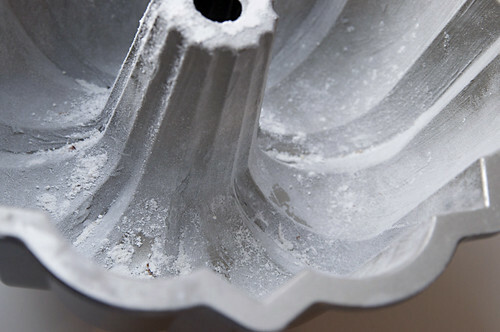 It's possible to use baking powder instead of baking soda, but not the other way around, and it may affect the taste of the finished treat- here's a whole page explaining it. 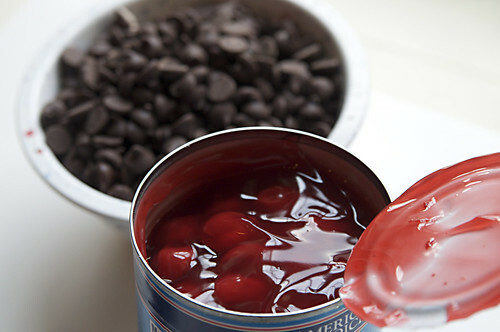 I would think that you could find jars or cans of cherry pie filling in the UK, but if not, it's possible to make it from scratch. Honestly, it will probably be tastier than the stuff from cans, but a little bit more time consuming. 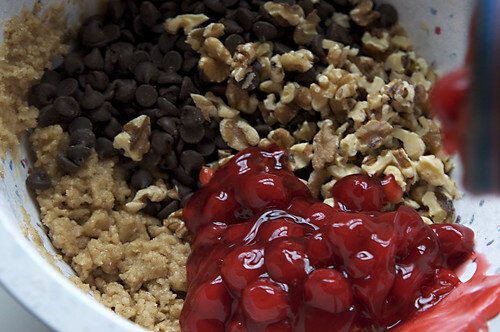 Here is a cherry pie filling recipe that sounds good. Here is another one, although they're pretty similar. That looks glorious. Want. Now.